Loving Son of Brian and Pamela. Loved Brother to Emily and Uncle to Dean and Pamela. 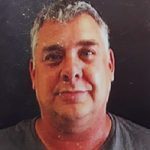 Family and Friends are invited to attend a Celebration of Paul’s Life, to be held at Traditional Funerals, 636 Morayfield Road, Burpengary on Monday 12th November 2018 commencing at 1.30pm.